This newsletter comes to you in the middle of Samoan language week - hence the greeting. Well since my introduction in the last newsletter it has been a busy few weeks as the new General Manager for the Office of Ethnic Communities. I thought I would take the opportunity of talking about two events that the Office has recently been involved in. The first of these was the Africa Day celebration in parliament - which follows a number of Africa Day celebrations around the country. I had the pleasure of going to both the Wellington celebrations at the Events Centre on the Waterfront, and then the celebration at parliament as well. 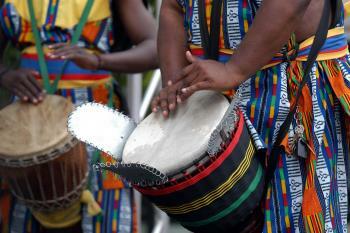 The Wellington celebration was a riot of colour and rhythm - with Sam Manzanza ensuring the event was complete with drumming. By contrast the parliamentary celebration was, despite the dancing troupes, a slightly more restrained affair - but still with its focus on celebrating the unity of Africa on 25 May 1963. 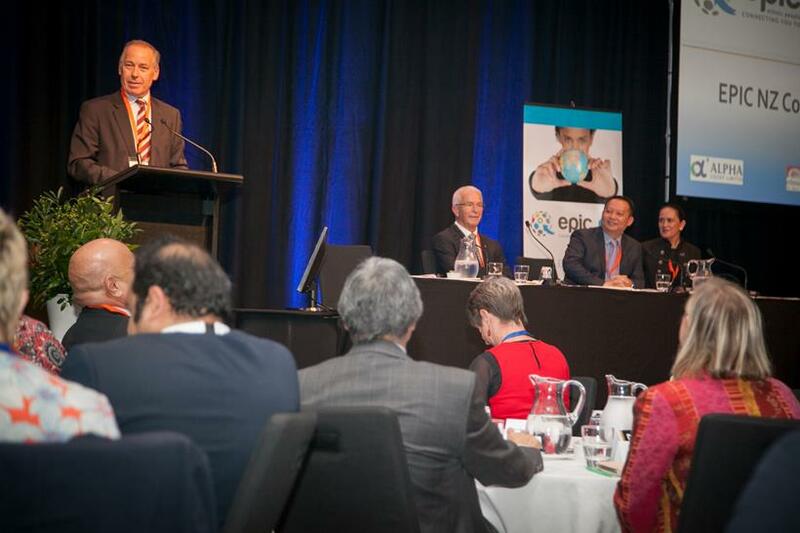 On Friday last week we held EPIC - or the Ethnic People in Commerce conference, at SkyCity in Auckland. This was a great conference that brought together small and medium business enterprises to build relationships with ethnic businesses, and with New Zealand's ethnic and māori business leaders. The themes of the conference were innovation, diversity and building connections. Conference attendees heard from Sir George Fistonich, the founder of the iconic company Villa Maria; from Wei Gao, the Chief Executive Officer of Alpha Group Holdings, a fast growing New Zealand company, and from Traci Houpapa Chairman of the Federation of Māori Authorities. Each of these speakers noted the increased value that comes from linking ethnic business with Māori, Pacific and mainstream business in New Zealand. Tenby Powell, Director of Hunter Powell Investment Partners, moderated the session and brought his own experience of working across various sectors and as the chair of the Small Business Development Group. A key highlight at the conference was a speech by the Prime Minister who talked not only about our diversity in New Zealand and our SuperDiversity in Auckland, but about how our diversity is an asset to the New Zealand economy in terms of the links we can make to markets around the world, and how our diversity will allow us to penetrate those markets for New Zealand. The EPIC conference was organised by staff from the Office for Ethnic Communities - so I was able to see the team go from assisting at a parliamentary event to organising a conference attended by over 300 people in the same week! I was certainly impressed by their focus and capability in supporting these events. In closing for this newsletter I would say that while on the face of it Africa Day celebrations in parliament and EPIC might seem like two different worlds, they represent important dimensions of ethnic diversity in New Zealand. Africa Day is a recognition and celebration of the contribution that our African communities make to New Zealand - the social dividend. EPIC was clearly focused on the economic benefits that derive from diversity - the economic dividend. Both of these events start from the strength that we in New Zealand can and should draw from our diversity. First and foremost however, diversity can and should make us stronger as communities and as a society. If it does this well it can also help us grow our economy. I hope those of you who were able to attend either of these events were able to enjoy and take some benefit from them. On Friday 27 May, the Office of Ethnic Communities ran its fourth Ethnic People in Commerce New Zealand (EPIC NZ) conference in Auckland. EPIC provides a platform for participants to build business and mentoring contacts to support increased contribution of ethnic small and medium enterprises to the economy. 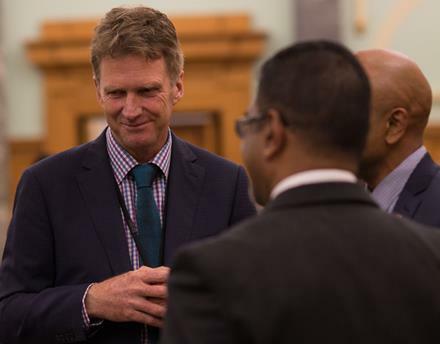 The theme of the 2016 EPIC NZ conference was Innovation, Diversity and Building Connections with approximately 300 people of various ethnicities attending. The conference was opened by Ethnic Communities Minister Hon Peseta Sam Lotu-Iiga [insert video link here] , with a special address later in the afternoon from the Prime Minister Rt. Hon John Key. The plenary panel discussion with Sir George Fistonich, Wei Gao, Traci Houpapa was a hot favourite among the attendees who heard from these renowned business leaders about the challenges and opportunities they faced on their journey to success. Helen Wyn, Department of Internal Affairs Deputy Chief Executive closed the conference, by saying “At EPIC we heard from speakers who are innovative, who utilise diversity to their benefit, and who actively build connections that contribute to business success. This is a great example of the Department supporting New Zealanders to contribute to stronger communities. Special thanks to Alpha Group Ltd and AUT Business School for sponsoring the 2016 EPIC NZ conference. The supporting organisations for the conference included the Ministry of Pacific Peoples, Te Puni Kokiri, Auckland Chamber of Commerce, New Zealand China Trade Association, Business Mentors, Hong Kong New Zealand Business Association, India New Zealand Business Council and ASEAN New Zeeland Business Council. This month we supported the Office of Hon Peseta Sam Lotu-Iiga in hosting the annual Africa Day parliamentary reception. Africa Day marks the signing of the founding charter of the Organisation of African Unity, now known as the Africa Union. This inaugural display of unity took place on the 25 May 1963 in Addis Ababa, Ethiopia with 30 leaders of the 32 independent states. Today its 53 member states address the challenges faced by African nations including armed conflict, climate change and poverty. Africa Day has since developed into something more important for many African New Zealanders and is fast becoming a permanent feature on New Zealand’s cultural calendar. The Africa Day parliamentary event was attended by members of parliament, diplomats, public officials and African community leaders representing over 20 different African ethnicities. The event also featured inspiring and entertaining performances and speeches from representatives of the African community. A new online education programme to increase cultural awareness and help us all communicate across cultural boundaries is being offered by the Office of Ethnic Communities. The Intercultural Capability eLearning (ICE) programme is available from the website. Intercultural Awareness and Communication training has been available from the Office of Ethnic Communities since 2008. Moving online means that anyone with internet access can take the training at a time that suits them best and at their own pace. The programme has four modules: New Zealand’s Cultural Context, Cultural Awareness, Communication and Practical Application. The Office of Ethnic Communities welcomes feedback on the modules and its new e-Learning platform to help it fine-tune the new training tool through the survey tool at the end of the last module. The Office of Ethnic Communities is finalising the ICE Programme and will be working with other organisations to implement it as part of their staff development. As a business unit within the Department of Internal Affairs, the Office of Ethnic Communities is trialling the programme throughout the Department and also working with New Zealand Customs Service, Auckland University of Technology and Massey University to pilot the programme on their organisational learning management systems. The trials are scheduled to run until the end of July. Please contact the office if you have any questions, or are interested in implementing the new eLearning Programme as part of your Learning Management System. On 1 May, the Office of Ethnic Communities met with China Xinjiang Cultural Exchange Delegation at the Chinese Embassy in Wellington. 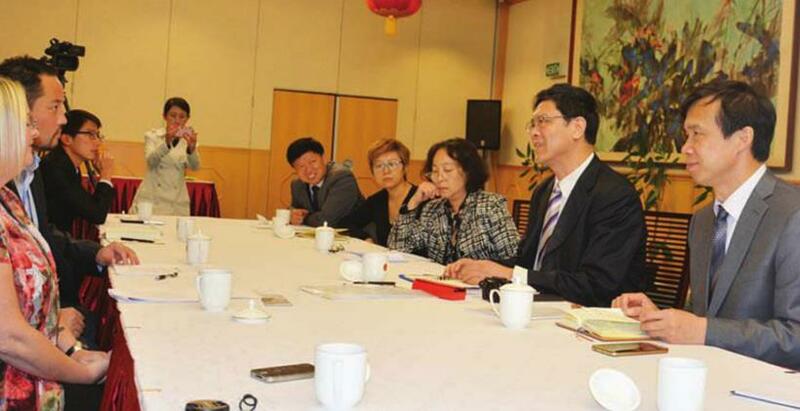 The delegation consisted of officials from the Chinese State Council and officials from the Xinjiang province. At the meeting, Office of Ethnic Communities representatives introduced the recent demographical changes within New Zealand society and shared the Office of Ethnic Communities’ current work programme with the delegation. The Office also provided the delegation with examples of initiatives that aimed at protecting the rights of ethnic communities, their culture and traditions. The delegation leader Mr Xing Guangcheng, Director of the Institute of Chinese Borderland Studies, Chinese Academy of Social Science, introduced the current state of the Xinjiang Uyghur Autonomous Region and policies around supporting the economic development, protection of ethnic communities, and freedom of religion within the province. The delegation were particularly interested in how the Office of Ethnic Communities engages with the ethnic communities in New Zealand, and the different methodologies that are used. It was on May 29, 1953, that Hillary and Nepalese Sherpa mountaineer Tenzing Norgay became the first climbers to reach the summit of Mt Everest. Mt Everest is located in the Mahalangur mountain range in Nepal and Tibet. It stands at 8848 metres, making it the highest mountain on earth. Since the historic climb, numerous expeditions have made their way up to the mountain – including Tabei Junko of Japan who became the first woman to reach the summit in 1975. Following his ascent of Mt Everest, Hillary devoted most of his life to helping the Sherpa people of Nepal through the Himalayan Trust, which he founded. Through this, many schools and hospitals have been built in Nepal. He was also the first person to reach both the North and South poles. Minister for the Environment Hon Amy Adams was a keynote speaker at the event and referred to the environmental impact of the summit traffic on Everest. The presence of Mark Inglis, first double amputee to summit Everest and prosthetic limb designer Wayne Alexander generated some media interest. The Office of Ethnic Communities recently facilitated a panel on "diversity in the workplace" as part of AUT's employability week. There were a number of events being held by AUT during the month of May to address challenges and opportunities that students may face. This panel, Big Ideas, Diverse Futures including two of Office of Ethnic Communities' alumni from the Young Leaders Programme (Fatumatah Bah and Sam Yoon) as well as Jade Tang (Curative) and Mitchell Pham (Augen Software). What does diversity in the workplace look like/sound like/feel like for you? Why is it important in terms of social benefits, community strengthening and developing a team culture? How can increasing diversity contribute to building a creative economy i.e. an economy where people and society are thriving through innovate and alternative models and methodologies? Responses from the students and panellists highlighted a range of important tangible and visible indicators that can be used to increase cultural intelligence and leverage diversity for greater economic as well as socio-cultural value. Numerous examples were given both from personal experience as well as the range of different projects that all four panellists are involved in across business, social entrepreneurship, research, health and technology. Questions from the audience were also stimulating and addressed the growing need for those from culturally and linguistic backgrounds to celebrate and harness the varied skills and talents they bring to the NZ workforce and market. Over 160 languages are spoken in New Zealand. Increasingly, children in New Zealand schools speak two or more languages- the language of home and English. In regions with an average of more than 1.5 languages spoken per person, one out of two people is bilingual or multilingual (Statistics NZ, Census 2006). The importance of maintaining and supporting these many languages as a part of cultural identity will be addressed in an upcoming international language conference. The 15th National Conference for Community Languages and ESOL (CLESOL) is being held in Hamilton at the University of Waikato, with pre-conference workshops at Wintec, from Thursday 14th – Sunday 17th July. Held biennially, CLESOL is the combined conference of the Community Languages Association of NZ, which supports and promotes first language and heritage language maintenance among migrant and refugee groups settled in New Zealand, and TESOLANZ, the national organization of teachers of English to speakers of other languages. CLESOL is NZ’s largest language-related conference, attracting around 400 delegates from across NZ and Australia, as well as countries such as China, Japan, Australia and the USA. The theme for this year’s event is Learners in Context: Bridging the Gaps – Ākonga Reo: Aronga Āputa. Approximately 150 workshops and presentations are scheduled across three days of the conference with 15 different streams, and these are preceded by pre-conference workshops at Wintec’s City Campus on Thursday July 17th. Among the line-up of international keynote speakers is Associate Professor Jean Wong of The College of New Jersey, who is renowned as one of the most influential figures in promoting an understanding of everyday practices of talk and social interaction in relation to second language learning. The other keynote speakers are Professor Thomas Farrell of Brock University, Canada, Associate Professor Dr Rangi Matamua of the University of Waikato, Professor Michael Haugh of the University of Queensland, and Associate Professor Mark Pegrum of the University of Western Australia. Other features of this year’s event include a panel discussion on heritage language maintenance, expected to include representatives from the Tongan, Kiribati, Korean, Chinese and Hindi communities. There is also a workshop exploring the implications of multiculturalism within the NZ ESOL sector with the aim of establishing a working group of stakeholders in NZ’s superdiversity. Issues in Māori medium education and teaching te reo Māori are the focus of invited talks by Dr Richard Hill, Dr Sophie Nock and Hineitimoana Greensill. It promises to be a fascinating conference with broad representation from the many cultures and languages that make up the New Zealand of today. Auckland Council and Auckland Tourism, Events and Economic Development (ATEED) organised the Tripartite Economic Summit Auckland 2016 on 16 - 17 May 2016. Guangzhou and Los Angeles are Auckland’s most well-established and economically important sister cities. The three cities aim to set a new standard for how modern cities can engage and collaborate in the 21st Century, and are already working together to enhance trade and economic relations. The summit provided a platform for businesses and investors from these three cities in key sectors to engage directly with local and international entrepreneurs, and take advantage of potential business-to-business leads and commercial opportunities. Hon Peseta Sam Lotu-liga the Minister of Local Government and Minister for Ethnic Communities gave an address at the summit as well as taking part in the business exchange agreements ceremonies alongside mayors from Auckland and Guangzhou. The Summit made great connections towards increasing trade and investment between three cities and explored various partnership opportunities. 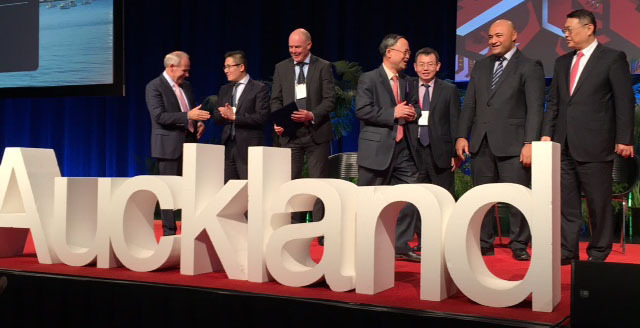 It also showcased Auckland as an innovation hub for the Asia-Pacific region with economic prospects. For further information check out the Summit Link. 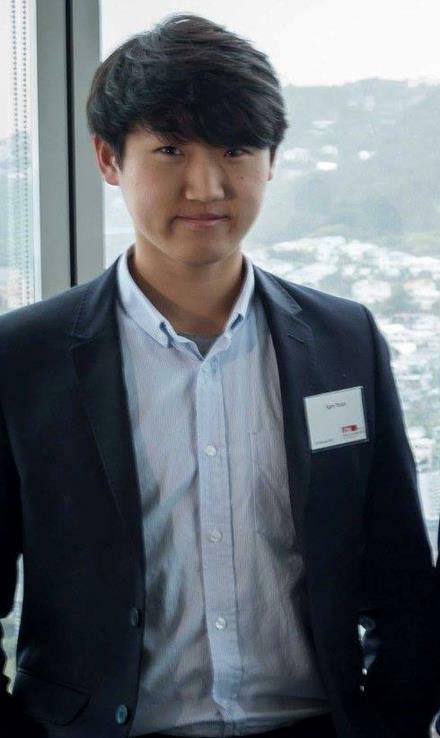 Sam Yoon, an alumnus of our Young Leaders Programme, has recently been selected by the Aotearoa Youth Leadership Institute to be a delegate at the OECD Forum in Paris. Sam will be representing New Zealand at this international forum that will be held from 28 May- 8 June 2016. The forum is anticipated to attract thousands of attendees from civil society, government (including heads of states), the private sector, academia and media. This year’s forum has a particular focus on three main issues: Productivity & Inclusive growth, Innovation & Digital Economy, and International Collaboration. Sam is excited about the opportunity to utilise the knowledge he gained from the Young Leaders Programme and especially to do so on a global stage. “The leadership training that I received during the program has helped me get this far in my journey, but will also help me to effectively advocate for migrant integration issues at the Forum”, says Sam. He also adds, “I am forever thankful to Office of Ethnic Communities for opening my eyes around a career in the public sector, and I’m excited to share more about these experiences when I'm back." Congratulations to Sam Yoon on this amazing achievement!